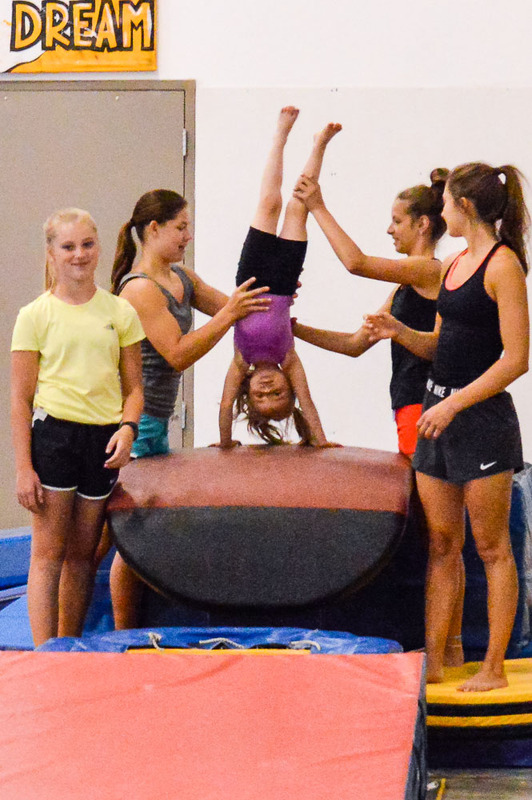 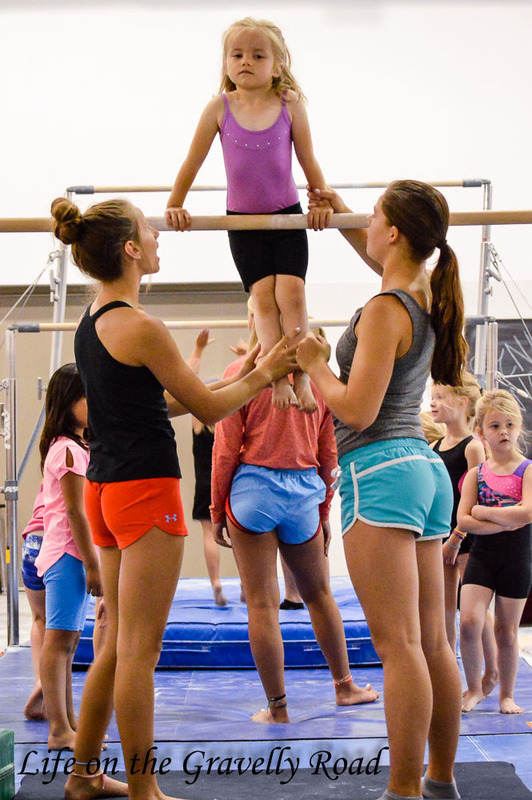 Peaches decided to try a week long gymnastics camp put on by community ed this summer as her activity instead of tball. She loved it and learned so much. 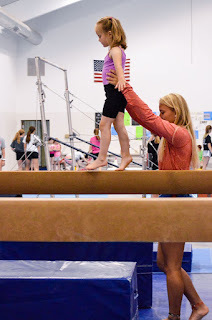 I was impressed by how it was run and the great high school helpers that were plentiful enough for the little kids to try lots of new things.